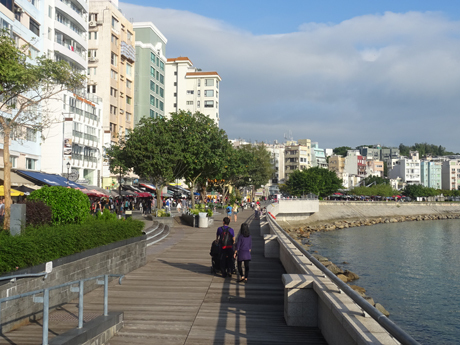 Located on a peninsula the south side of Hong Kong Island and once the largest settlement on the island, Stanley has developed into an attractive seaside town much favoured by both ex-pats and wealthy locals. 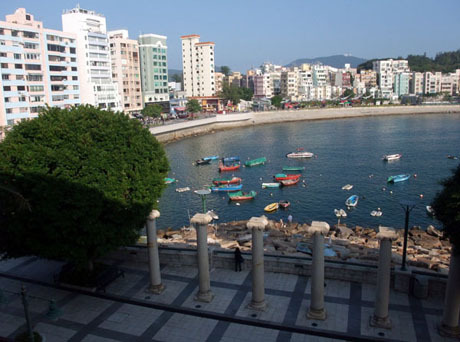 Recent waterfront redevelopment has given it something of a Mediterranean feel and its famous market, charming waterfront, excellent beaches, bars and restaurants and other attractions make it a popular tourist destination. Citybus services 6, 6A, 6X and 260 from Exchange Square Bus Terminus (MTR Central Station Exit B) on Hong Kong Island serve Stanley Village Bus Terminus for Stanley Market. All these services stop on Connaught Road outside City Hall and Queensway at Admiralty MTR Station which may be more convenient boarding points for some visitors. Bus 66 from Exchange Square Bus Terminus serves Stanley Plaza. For tourists bus number 6 travels a very scenic route via Wan Chai, Stubbs Road, then climbs high up through Wong Nai Chung Gap and skirts the Tai Tam Country Park with some spectacular views before descending to Repulse Bay and following the coastal road to Stanley. It operates at approx 10/20 minute frequency daily from 06-00 to 01-00 and the journey takes approx 50 minutes. From 17th September 2012, bus 6 is diverted via Stanley Plaza during weekday off-peak hours and on Saturdays, Sundays and public holidays. Services departing Exchange Square between 9am and 3-10pm on Mondays to Fridays and 8-20am to 7-30pm on Saturdays, Sundays and public holidays and services departing Stanley Prison between 9am and 3pm on Mondays to Fridays and 8-20am to 7-30pm on Saturdays, Sundays and public holidays will call at Stanley Plaza. Bus 6X travels through Wan Chai and the Aberdeen Tunnel before joining the coastal road to Repulse Bay and Stanley. It operates from appx 06-50 to 20-00 daily at 10/20 minute intervals and the journey takes 50 minutes. This service is supplemented by service 6A following a slightly modified route between Repulse Bay and Stanley) on Mondays to Saturdays only which provides additional journeys between 07-00 and 08-20 from Exchange Square and 17-30 to 18-30 from Stanley. Bus 260 “Stanley Express” follows a route similar to the 6X (but slightly modified between Repulse Bay and Stanley). It operates at 10/20 minute intervals from 07-15 to midnight and the journey takes appx 45 minutes. This service is sometimes operated by single deck buses. Bus 66 follows the same scenic route as bus 6 to Stanley but terminates at Stanley Plaza. It does not pass Stanley Market or Stanley Village but the terminus at Stanley Plaza is only only five minutes from Murray House via escalators through the plaza and less than ten minutes from Stanley Market. From 17th September 2012 service 66 is reduced to a weekdays peak hours service only. Services operate on Mondays to Fridays only, at about 20-minute frequency, from 7am to 8-50am and 3-20pm to 7-30pm from Central and from 6-45am to 8-50am and 3-20pm to 7-30pm from Stanley Plaza. There is no service on Saturdays, Sundays and public holidays. However, Citybus service 6, which operates between Exchange Square, Central and Stanley Prison will be diverted to call at Stanley Plaza during weekday off-peak hours and on Saturdays, Sundays and public holidays. Services departing Exchange Square between 9am and 3-10pm on Mondays to Fridays and 8-20am to 7-30pm on Saturdays, Sundays and public holidays and services departing Stanley Prison between 9am and 3pm on Mondays to Fridays and 8-20am to 7-30pm on Saturdays, Sundays and public holidays will call at Stanley Plaza. The journey takes about 45 minutes. Citybus service 973 from Mody Road, Tsim Sha Tsui travels via Salisbury Road, Canton Road, Jordan Road, Western Harbour Crossing, Pok Fu Lam Road and Aberdeen to Stanley Market, a journey time of approx 90 minutes. The service operates daily from 08-30 to 22-05 at intervals of 15/30 minutes. On Saturdays, Sundays and Public Holidays the journey makes a short diversion via Ocean Park Main Entrance. Alternatively take the MTR Tseun Wan Line to Admiralty and join any of the bus services from Central outside Admiralty Station on Queensway. NWFB Service 63 from North Point Ferry Piers on HK Island serves Stanley via Kings Road, Causeway Bay, Happy Valley and then follows the scenic route of the number 6 service to Stanley Village Bus Terminus. It operates from 06-30 to 19-30 at 20/40 minute intervals and the journey takes appx 55 minutes. This service operates on Mondays to Saturdays only. On Sundays and Public Holidays service 63 is replaced by service 65 which operates from 07-00 to 19-00 at 15/20 minute intervals. After Happy Valley the 65 service operates via Aberdeen Tunnel and Ocean Park and rejoins the service 65 route at Repulse Bay (the 63 bus continues to Stanley Prison whereas the 63 terminates at Stanley Village). 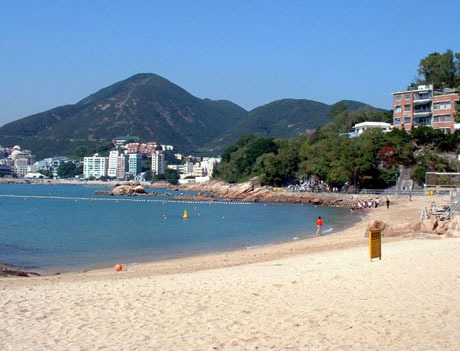 During the summer season on Sundays and public holidays only, Citybus route 314 operates between Siu Sai Wan (Island Resort) via Chai Wan and Tai Tam Reservoir to Stanley. The service operates from Siu Sai Wan between about 9am to 7pm and from Stanley between about 9-45am to 7-45pm at 30 minute intervals. In 2018 the service operates on Sundays and public holidays from 18th June (Tuen Ng Festival) to 16th September. Green Minibus service 40 operates a 24 hour service daily from Jardine's Bazaar* in Causeway Bay via Hennessy Road (where passengers can also board near Causeway Bay MTR Station) to Stanley Village (Stanley Main Beach). It operates a 10/15 minute frequency service from 06-00 to midnight and 15 minute frequency between midnight and 06-00. The journey takes approx 35 minutes. 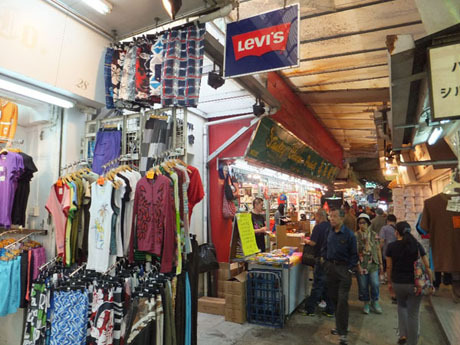 * the Causeway Bay terminus for green minibus 40 was relocated from Tang Lung Street to Jardine's Bazaar on 24 January 2016. A major redevelopment of the waterfront area was completed early in 2008 and an attractive boardwalk has been constructed widening the space for public enjoyment between Stanley Main Street and the bay. 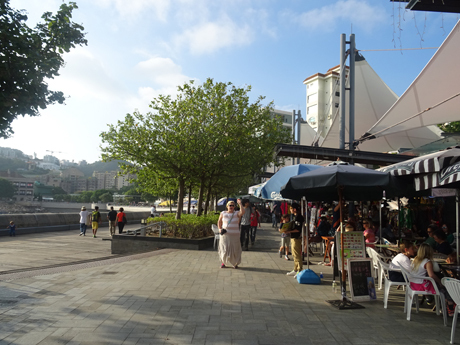 The boardwalk is lined with young trees and benches and is the location for Stanley Waterfront Mart with a small number of souvenir shops, bars and café’s. Adjacent to the boardwalk is Village Square, a covered amphitheatre where free concerts are often performed at weekends. On Stanley Main Street are pubs, bars and restaurants with a wide range of international dishes. Murray House is a fine colonial building originally built in 1844 in Central on the current site of the Bank of China. Named after Sir George Murray, British Head of Ordnance it was once a British Army Barracks. In 1982 the building was dismantled stone by stone, catalogued and put into storage. 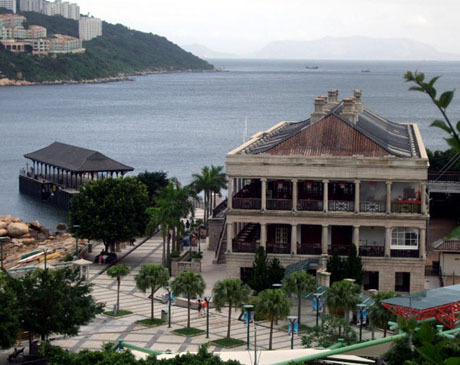 The building was subsequently restored and re-erected on Stanley waterfront in 1999. Although component had been numbered during dismantling, when the building was restored six surplus columns remained and these have been erected in front of the building. The building is surrounded by verandas supported by ornate columns giving it an open and airy feel. There are restaurants on the first and second floors and on Saturdays and Sundays Stanley Plaza Bazaar operates in Murray House from 12pm to 8pm. In September 2015 fashion retailer H & M opened a store on three floors of Murray House. Adjacent to Murray House stands Blake Pier (see picture above), another structure which has been partly transplanted to Stanley. 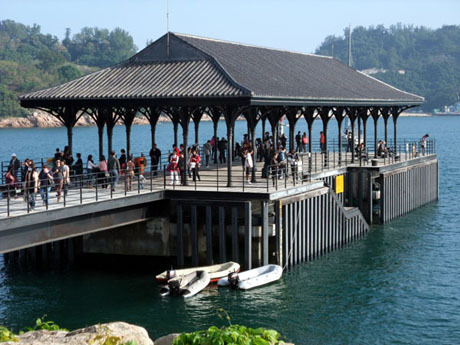 The original pier was located in Central but the canopy, having been temporarily relocated to the New Territories, was re-erected at the new Blake Pier which opened in 2007. A kaido ferry service operates from the pier to Po Toi Island, some 10km distant on the southern extremity of the Hong Kong SAR boundary on Tuesdays, Thursdays, Saturdays, Sundays and public holidays. This six-storey modern development links a bus/minibus station at the the highest level to Murray House and the waterfront. An extensive renovation of Stanley Plaza was completed in November 2011. The plaza has a variety of shops including G.O.D, RapeeLiving Outlet, Book Buddy, City Lifestyle, Agatha, Mama Kid, In-style,Grace Optical and Taste supermarket. Restaurants and café’s include Zen Garden, Mirch Masaia, MacDonalds, Classified, Starbucks, Chez Patrick Deli and Vellness Cafe. The plaza is fronted by a piazza with alfresco dining, children's playground and an amphitheatre where regular entertainment events take place. There are excellent views across Stanley Bay from the higher levels. Two magnificent old banyan trees which have survived the considerable redevelopment of recent years stands proudly in front of the plaza and brings a touch of welcome greenery. 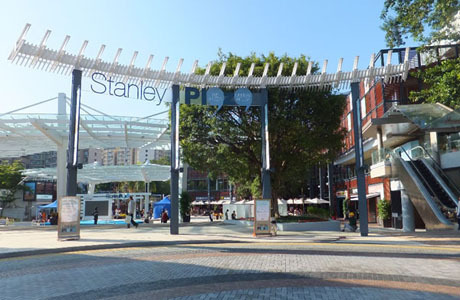 Stanley Plaza claims to be Hong Kong's first pet-friendly mall. 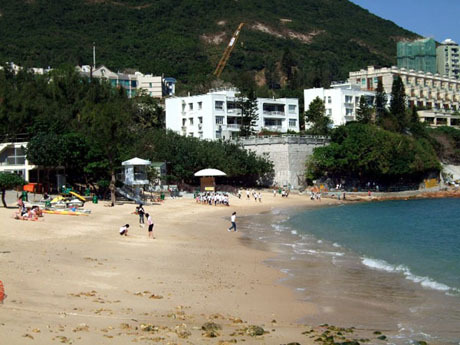 Stanley has two fine sandy beaches, Stanley Main Beach and St Stephens Beach. Both Stanley Main Beach and St Stephens Beach are patrolled by lifeguards and protected by shark nets. 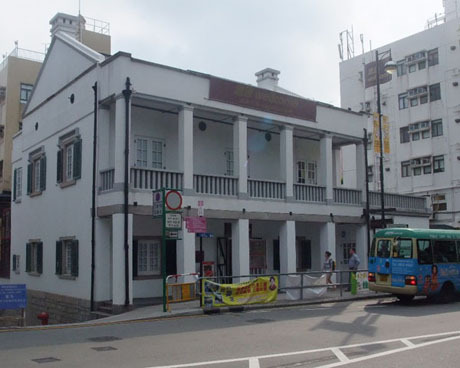 Dating back to 1859, Stanley Old Police Station is the oldest surviving police station in Hong Kong. During the Japanese Occupation, following defeat of the British garrison in 1941, the police station was used as a local headquarters for the Japanese. After the war the building reverted to a police station until 1974. It was declared a monument in 1984 and has since been used as a restaurant and is currently home to a Wellcome supermarket. The Old Police Station is located at 88 Stanley Village Road, near Stanley Village Bus Terminus. The new police station stands just across the road. 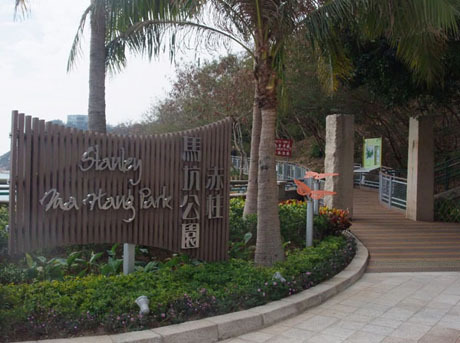 Officially opened in January 2011, Stanley Ma Hang Park is an attractive 50,000 square-metre cliffside park set in a cliffside location near Murray House. The park was developed by the Housing Authority along with local community and District Council, environmental groups, professionals and relevant government departments and is designed to blend in with the natural landscape. Features include boardwalks, Butterfly Garden, Heritage Corner, Sea View Terrace, Sea Breeze Patio, Fitness Deck, Bird Watching Corner, Educational Trail, Hill Top Plaza and wind turbines. 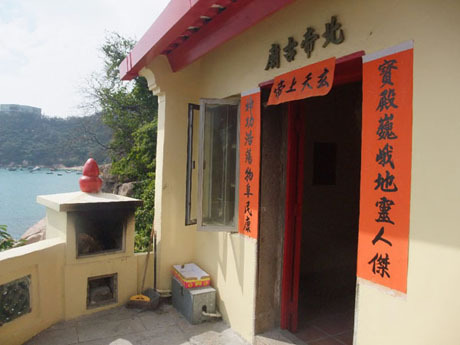 The tiny Pak Tai Temple, perched precariously on the cliff-edge and adjacent ancient well are included within the bounds of the park and footpaths throughout the park offer scenic views over Stanley Bay. Admission is free and the park is open daily from 7am to 8pm. 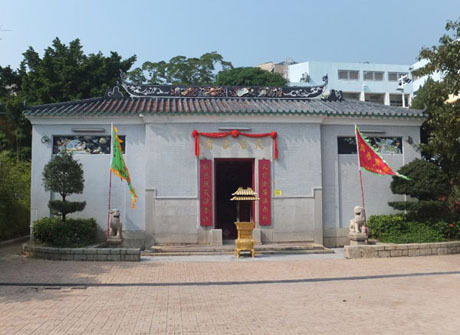 Located behind Murray House and alongside Stanley Plaza is one of over 70 Tin Hau Temples in Hong Kong, dedicated to the Goddess of the sea and protector of fisherman. Built in 1767, it is the oldest temple on Hong Kong Island. Although the surrounding area has been redeveloped in recent years the temple still enjoys a sea view as a mark of respect for the deity. 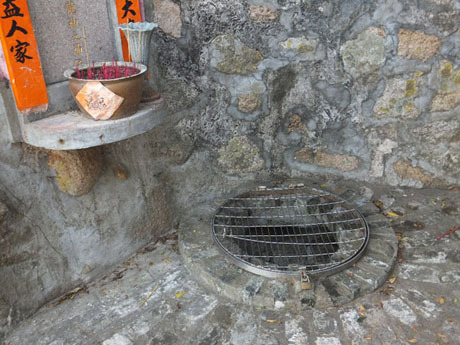 The temple is believed to have been one of the bases of the notorious pirate chief Cheung Po-tsai, who captured Hong Kong in 1770 and legend has it that the bell and drum inside the temple belonged to him. A blackened animal skin in the temple is not that of a tiger shot outside Stanley Police Station by an Indian policeman in 1942, although the notice below it indicates otherwise. The original tiger was sent to Government House, where the flesh was eaten, whilst the skin was sent to Japan to be stuffed. 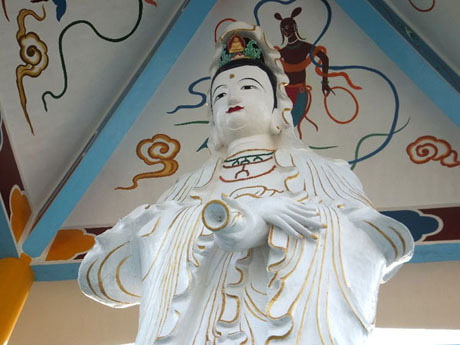 Accessible by following the path and steps through Ma Hang Park, the Kwun Yum Temple, located on a hill, is dedicated to the Goddess of Mercy, to whom a large statute stands, sheltered by a pagoda next to the main temple. 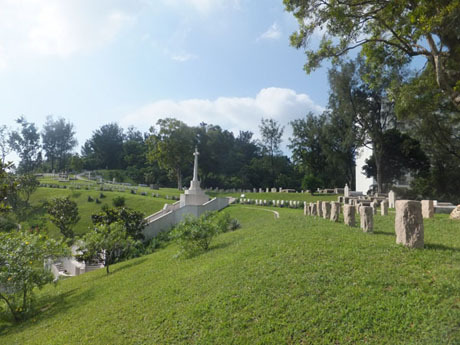 The immaculately maintained Stanley Military Cemetery lies on Wong Ma Kok Road above St Stephens Beach. 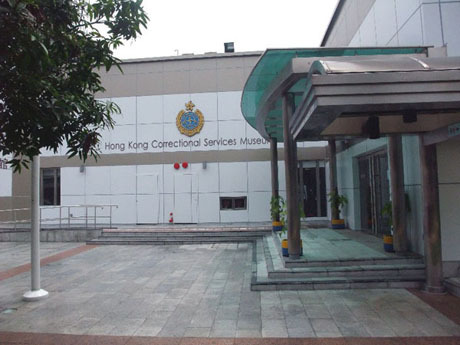 The cemetery was established during the mid 18th century for deceased soldiers of the British garrison stationed in Hong Kong and their families. 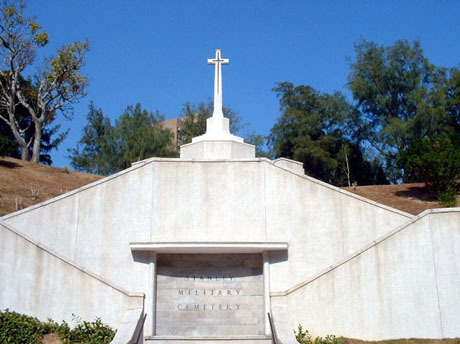 The cemetery was closed for over 70 years until the brutal Japanese occupation of Hong Kong and is also the burial place of the victims of World War II, including members of the Hong Kong Volunteer Defence Corps and British Army Aid Group. There are 598 WWII burials (including non-British Allied soldiers and 2 from Hong Kong Police Force) in the cemetery. 175 of them are unidentified. 96 of them are civilians, including 4 children. The colonial cemetery now maintained by the Commonwealth War Graves Commission. The graves are arranged in serried rows on either side of a grassy mound dotted with trees and a huge impressive stone memorial dominates the entrance to the cemetery.